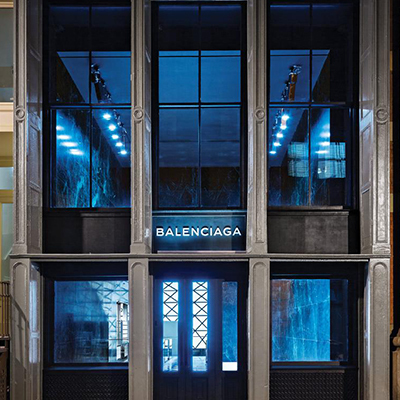 Balenciaga has been under Alexander Wang’s art direction for a year now and thanks to New York Magazine, some lavish images of the new flagship store space have been unveiled. You see him standing proud there for a reason. A very large space complete with skylights and 5,400 square feet of Italian Verde Rameggiato deep-green marble. When it comes to Wang’s design ethos he claims, “my question is always – does it need this? – which results in a certain austerity that I like”. Austerity indeed! The store opens this Friday, 22nd November. Swoon.